Sycamore and Staples announced that they have entered into a merger agreement in which investment funds managed by Sycamore Partners will acquire Staples for approximately $6.9 billion. Under the terms of the merger agreement, all Staples’ stockholders will receive $10.25 per share in cash for each share of common stock they own, which represents a premium of approximately 20 percent to the 10-day volume weighted average stock price for Staples shares for the period ended April 3, the last trading day prior to widespread media speculation about a potential transaction. “This announcement is the result of a comprehensive process in which our Board, with the assistance of a transaction committee comprised of independent directors, and outside financial advisors, explored and considered various alternatives to enhance value for our stockholders. Staples’ Board believes that this process has led to a transaction which is in the best interests of our stockholders, as well as Staples and its employees,” said Robert Sulentic, Chairman of the Board. The transaction is expected to close no later than December 2017. 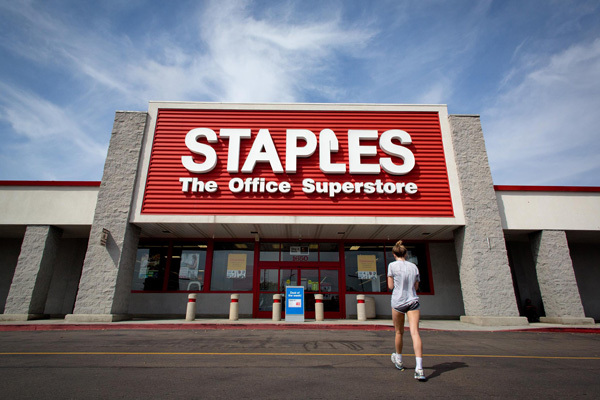 Staples tried to buy Office Depot for $6.3 billion last year to unify the two largest office-supply sellers, but the transaction was opposed by antitrust regulators.